When looking at Microsoft’s Touch Mouse last year I said the device: “Adds some of the advantages of touch screens to everyday Windows 7 PCs”. That’s doubly true when using the mouse with the touch-focused Windows 8. Touch gestures which felt a little forced with Windows 7 are an part of Windows 8. They’re still not natural, not yet, but I’m getting there. 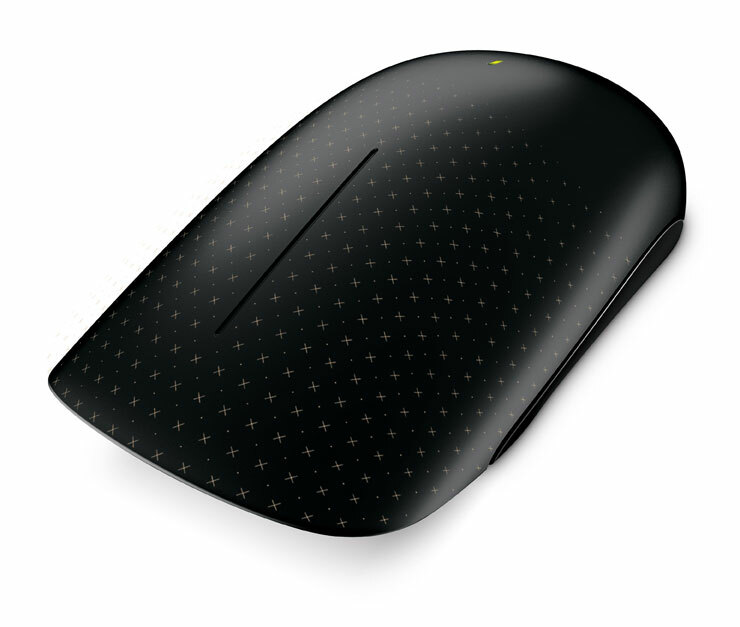 The Touch Mouse makes navigating Windows 8 easier. It detects multiple touches – slide three fingers forward across the mouse and the current Windows will zoom, slide them back and the display zooms out. Slide two fingers to the left to open the Windows 8 charms, slide them to the right to switch apps. One finger will scrolls the screen up and down or left to right. Flicking your thumb up and down acts like back and forth buttons when using a browser – this is the most clumsy gesture and doesn’t always work for me. In use the mouse is responsive most of the time – but not always. This gets confusing when gestures don’t necessarily trigger events as expected. I’ve noticed on occasion the mouse stops working altogether for a moment or two. In practice I find I used the one finger touch scroll features all the time – I have to consciously think before using the other gestures and still often use alt-tab or control-table to move between Windows. The Touch Mouse still isn’t perfect. It chews through batteries. I do better than the one set per week I whinged about last year – but not hugely better. I’m on my third set of batteries after using the mouse for a little over a month. On the other hand, you can pick the touch mouse up for around $50 which is way cheaper than buying a new touch screen or a Microsoft Surface.